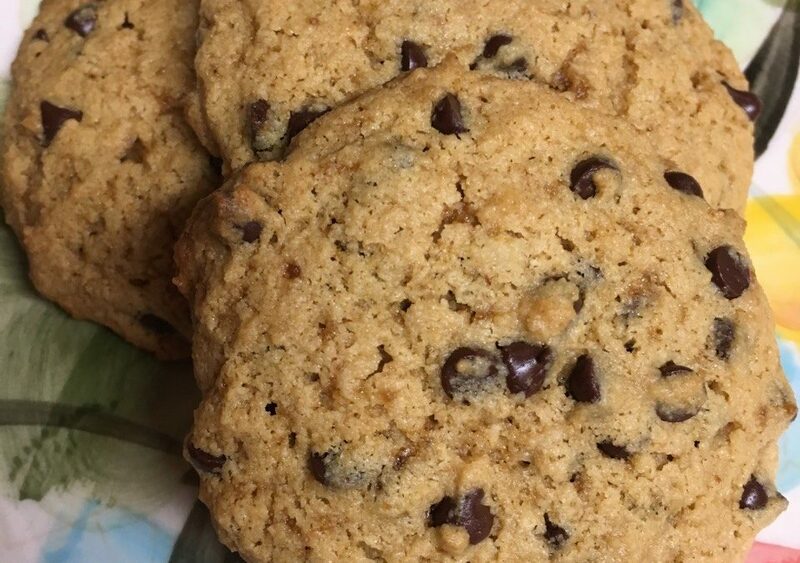 So again I present you with a chocolate chip cookie recipe…these turned out AMA-zing! I attempted to make the Every Last Crumb chocolate chip cookies that were egg free, but I couldn’t bring myself to not add an egg and I ran out of almond flour so I had to improvise. I just added all ingredients to a bowl and mixed by hand! This is the recipe I ended up with. Drop tablespoon size or larger globs of dough on parchment paper lined baking sheets. Preheat to 350 and bake for 14-15 minutes. Made about 20 cookies for me. These chocolate chip cookies hold together so well when compared to the Against All Grain recipe! They are also slight chewy, which is awesome. So easy to make, no extra steps!